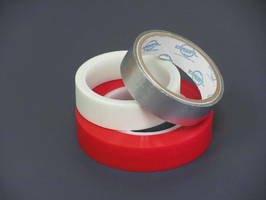 PTFE Tapes are available with choice of adhesive backing. Offered in widths from 0.500-12.00 in., DW 602BT tapes consist of PTFE compounded with direct coat acrylic or silicone pressure-sensitive adhesive. Chemically inert, stable, abrasion-resistant, and non-toxic products feature smooth, self-lubricating surfaces and peel-off release liners. Engineered to reduce friction and appropriate for linear slide bearing applications, tapes exhibit wear resistance and smooth surfaces in wet or dry applications. 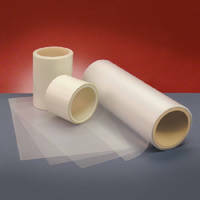 Saunderstown, Rhode Island, USA, April, 2007 - DeWAL Industries, Inc. is now offering it popular Dynaglide® PTFE (Teflon®) tapes with pressure sensitive acrylic or silicone adhesive. DeWAL DW 602BT tapes feature high temperature resistance, smooth self-lubricating surfaces and peel-off release liners. They are chemically inert, stable, abrasion-resistant, durable in extreme environments, and non-toxic. They consist of PTFE compounded with a direct coat acrylic or silicone pressure-sensitive adhesive. DeWAL DW 602BT tapes can be from 0.500 to 12.00 in. wide. 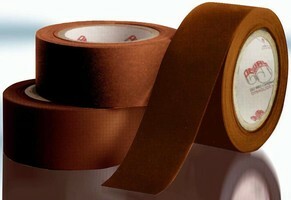 With adhesive on one side, the tape is supplied with a backing for easy die cutting and application. Like other DeWAL Dynaglide® films, DW 602BT tapes exhibit excellent wear resistance and smooth surfaces in wet or dry applications. They are engineered to reduce friction and are appropriate for linear slide bearing applications. Since its founding in 1974, DeWAL Industries, Inc. has become an industry leader in the manufacture of pressure sensitive tapes from PTFE, UHMW-PE, Polyimide, and PTFE coated glass fabric. The company manufactures skived PTFE and UHMW-PE film, friction-reducing Dynaglide PTFE-based compounds, and Poro-Tex and UniPore specialty products. 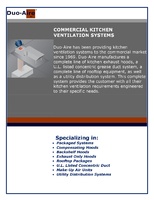 For additional information or samples contact Chris Brooks, Director of Sales and Marketing, at (800) 366 8356 (International 001 401 789 9736) or e-mail cbrooks@dewal.com. Silicone-Free Tapes target aerospace composite industry. 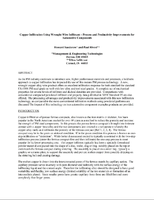 UHMW-PE Tapes and Film feature skived, thin gage design. 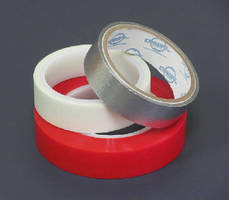 HVOF Masking Tape withstands high temperature, pressure. PTFE-Coated Tape targets machinery rollers.